BBS offers a customized and comprehensive array of payroll services. We provide flexible payroll assistance that can improve employee and payroll management and we do it for start-ups, small businesses and large corporations. BBS's payroll solutions streamline your payroll process, improve productivity and simplify administration. We manage the sometimes difficult and always time-consuming tasks of processing your payroll and employee payroll tax filings so you can focus on the core success factors of running your business. BBS's payroll solutions give you peace of mind knowing that your employee’s payroll needs are met on time, every payroll period. BBS's payroll solutions simplify and streamline your payroll management, improve your company’s productivity and simplify overall administration. BBS provides many different employee payroll payment solutions. You can receive professionally printed customized checks, do direct deposit for your employees or choose other of our employee payment solutions. 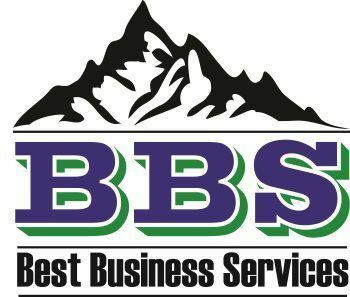 BBS’s payroll payment solutions provide security, cost-savings, and the confidence and comfort of knowing that each of your employees has a payroll payment choice that is right for them. Our payroll payment services can be bundled together or purchased separately to fit your particular business needs. Our payroll solutions can quickly integrate with the rest of your operations and computer systems allowing you to optimize your time and money savings. At BBS, we realize that no one solution is perfect for everyone. We provide you with a wide variety of payroll input options, customized to your unique needs. You can call in your payroll to our specialists, or enter the data into a spreadsheet or directly online with your own personal computer. And you can always be confident that your data is protected, secure and safe. BBS provides a complete and comprehensive set of payroll-related services. You can purchase each payroll service a-la-carte or you can take advantage of the many synergetic opportunities provided by working with BBS for all of your employee management, employee benefits and payroll needs. Small and medium size business owners now have the flexibility of managing their payroll in a way that fits their unique needs with our customized payroll solutions.